Cape Town, October 3, 2018 – Three days of some of the coolest music in South Africa will be a highlight of Cape Town’s Rocking the Daisies event along with a commitment to make it the first major festival in the world not to serve any drinks in plastic cups. The festival, running October 5 - 7, has partnered with headline sponsor CAN DO! to launch the first ever aluminium custom-made, re-usable and 100% recyclable cans that can transform into cups that will make perfect receptacles for the pristine water being served by Bluewater from its unique hydration stations. Bluewater will be providing four of its high-visibility trailers that can each deliver 7 litres of water per minute, ensuring that a total 320 x 500ml single use plastic water bottles can be avoided every sixty seconds. “We think its awesome that a music lifestyle event can take a lead in showing how festivals can help stop the plague of plastic that’s threatening the health and wellbeing of people and the planet,” says Bluewater Africa top executive James Steere. He said that with one million plastic bottles being made every single minute and most of them ending up in the ocean, every event should make it their task to follow the example of Rocking the Daisies to leave a positive impact on the planet. Bluewater will have four of its water hydration trailer-mounted stations sited strategically in key areas throughout the festival’s area. The water, which is being generated entirely from non-municipal sources directly from Cloof Wine Estate, will be served chilled to anyone with a reusable bottle or CAN DO! aluminium cup. 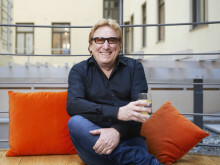 Bluewater, which is headquartered in Sweden, a country renowned for its clean environments, captures the quality and purity of nature by removing practically all known contaminants found increasingly in drinking water, whether lead, microscopic plastic particles, chemicals or viruses. 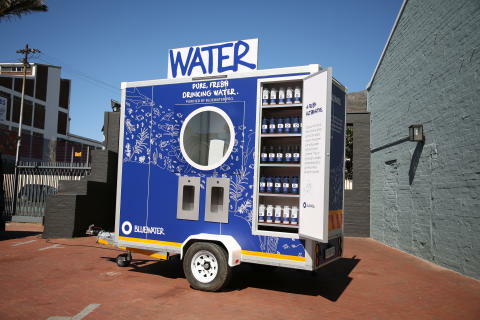 Bluewater events manager Janneke Brasecke said the hydration stations use Swedish-designed second-generation reverse osmosis technology that is now being launched in South Africa for use in both homes and commercial business operations as well as for public dispensing solutions. “The Bluewater Pro is a real powerhouse of a unit despite being no larger than a traditional PC tower with the capacity to turn practically any quality of water, potable or non-potable, into pristine tap water, delivering up 7,000 liters a day with an extremely low energy consumption,” said Janneke.